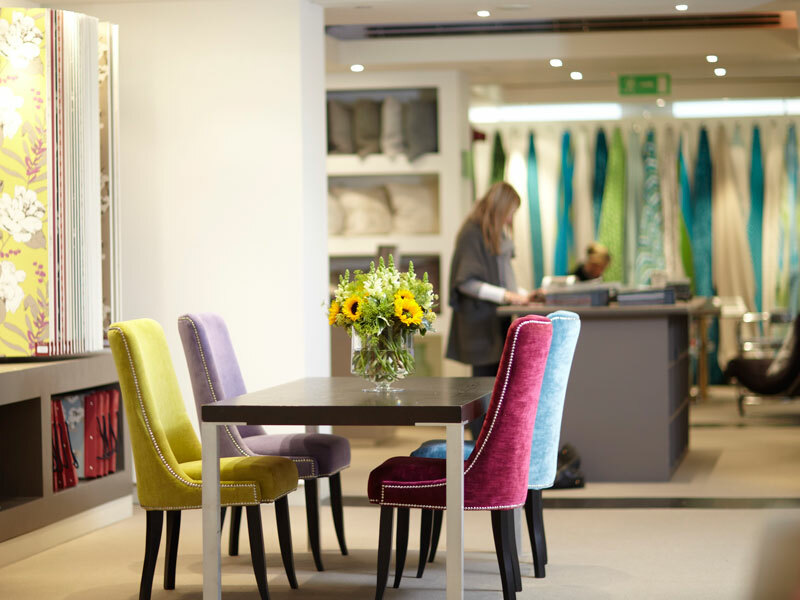 Our flagship showroom in London’s prestigious Design Centre Chelsea Harbour houses the collections from our six brands: Romo, Black Edition, Mark Alexander, Zinc Textile, Villa Nova and Kirkby Design and is open to both design professionals and members of the public to browse. The showroom is beautifully furnished with our latest designs, available to view in full length pieces as well as in practical pattern books. Our friendly, knowledgeable sales executives are on hand to offer design and technical advice. A sample service is offered with cuttings available in store.